Elizabeth McDonald Schwaiger (b. 1985) is a research based artist. She earned a BFA at the University of North Texas and an MFA at the Glasgow School of Art. 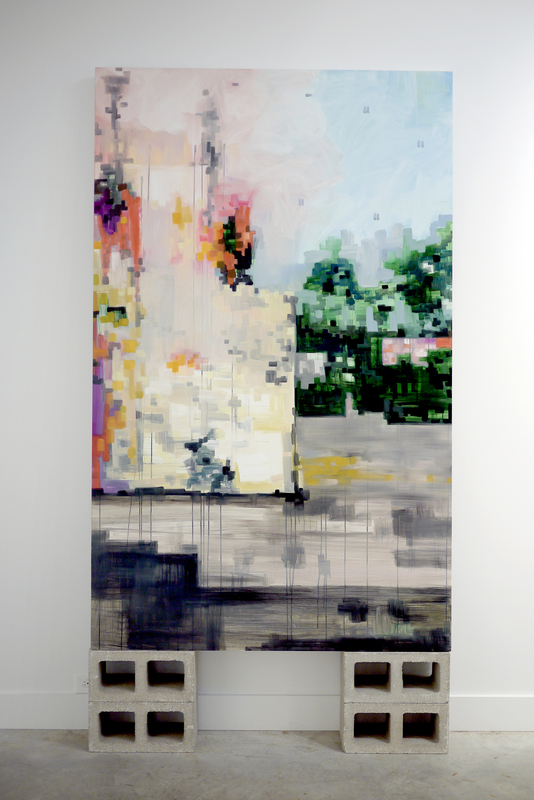 In 2010 she was a finalist for five prizes: shortlisted for the John Moores Contemporary Painting Prize, Liverpool; a finalist for the Hunting Art Prize, Houston (again in 2012, and 2015); also exhibiting at the Salon Art Prize, Matt Roberts Arts, London; earning second place at the Celeste Art Prize in New York; and winning the BP Portrait’s Young Artist Award at the National Portrait Gallery in London. Her work has been presented in numerous publications including 500 Portraits published by the National Portrait Gallery in London and The Catlin Guide released at the 2012 London Art Fair. She recently exhibited as part of Glasgow International Festival of Visual Art 2014, and in Austin Texas with solo shows at Pump Project and GrayDUCK. Over the last decade I’ve remained deeply interested in power differentials of all sorts — the balance or imbalance of control and influence between parties, whether that be staged in interpersonal relationships, socio-political dynamics, or something less tangible such as the relation of an individual or group to their environment or even to the atmosphere of expectation that surrounds them. Those concepts have remained an undercurrent throughout my artistic practice, informed by scholarly research, popular culture, personal observation, and experimentation. Five years into this broad research in dynamics of power I arrived at the idea of ritual, which I came to identify as a human invention to intercede and manipulate power differentials that would otherwise remain outside of one’s control — even if only by addressing the personal anxieties created by such situations of relative powerlessness. Ritual is now the conceptual core of my current work and has proved to be an endless well of rich content, especially when applied to our current lives where ritual is often hidden or unacknowledged even by those participating in them. These acts stand in contrast to the great value our society places on reason, but they stand nonetheless, cloaked in disguises of etiquette, social convention, and tradition. Whether pragmatic or symbolic, rituals are a way of sequencing our experience and constructing power. They are practical and mysterious; they can be observed in all cultures, yet they can be created by anyone without need of outside ordination; they can be personal, culturally specific, or universal; they fit into every aspect of life and death. Human instinct — especially in a social context — is to gravitate toward systems of ritual.